Today I wanted to share a card with you which I made with Verve Stamps. 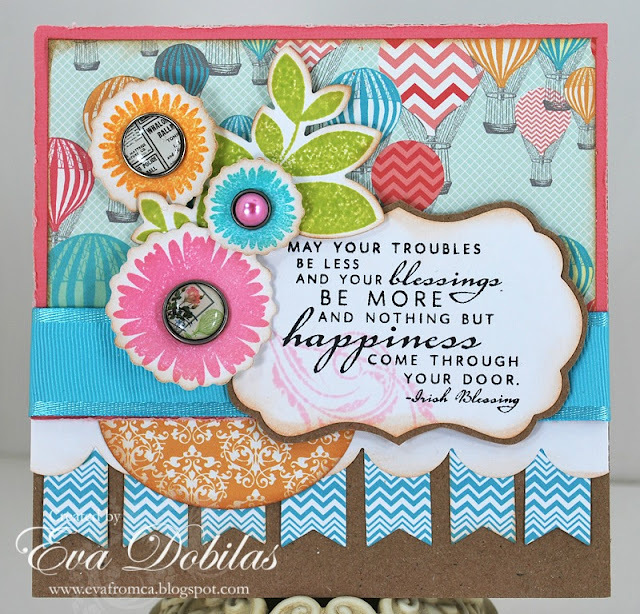 A little while back I won the Mojo Monday challenge and got some pretty Verve Stamps and dies, so I have been wanting to play with them. The sketch I used is this week's Viva la Verve sketch challenge, which I loved, so I was inspired. My papers are Echo Park's Everyday Eclectic Collection....so yummy, love it! The label I stamped my sentiment on is by MFT and the little fishtails are as well...love those, can't seem to stop using them. Well, that is it, just a quick post today, but wanted to share. Hope you like what you see.